It was a beautiful day in the neighborhood Wednesday, October 21, 2015. The Park Board was awarded another grant from the North Dakota Community Foundation. 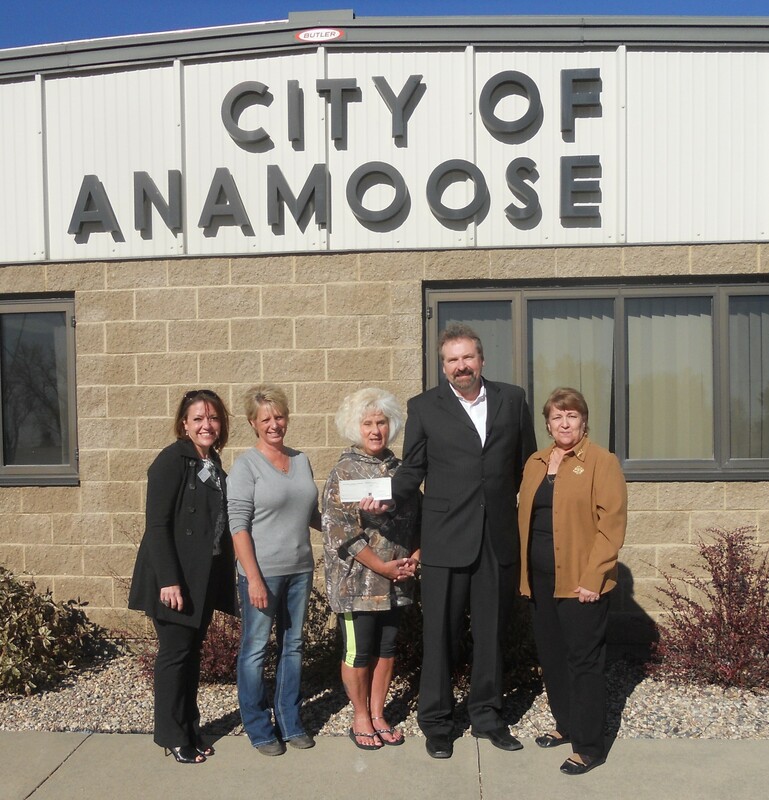 Lori Schmaltz and Torrie Dosch were on hand to accept a check for $5000.00 from Kevin Dvorak, Amy Warnke and John Heinen at the city offices. Refreshments were served along with some lively conversation. Then NDCF crew had to be on their way as they are traveling around the state to deliver awards to many other communities. After a couple of photos, we waved good-bye and went our separate ways knowing the park is that much closer to having the new playground everyone has been working so hard for! Nice work Jacque and Park Board! Nice going Park Board-& Jacque for writing the grant!